Our January 2017 Client of the Month is part of our ongoing series of: “Dreamers that Trump can’t touch!” Danieca Bugarin landed in San Francisco, CA on December 30, 2016, presented her immigrant visa, and was admitted to the U.S. as a permanent resident. Her admission to the U.S. as a permanent resident looked so improbable for the past two years because Danieca was snake-bit when it came to immigration. Until now, when everything worked. 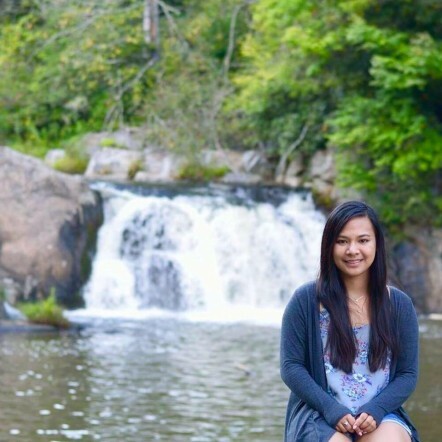 Danieca is 21 years old and from the Philippines. She entered the U.S. too late to take advantage of the original 2012 DACA program. In 2014, her mother married an American and was able to seek residence. Danieca could not benefit from the new relationship however, as the step parent relationship was formed after Danieca had turned 18. Hope appeared when in November 2014, the administration announced that it would expand DACA to people who entered prior to 2010. This opened up the possibility of some protection for Danieca. Meanwhile, Danieca’s mom got her residence in January 2015. The very next day, we filed an immigrant petition by Danieca’s mother on Danieca’s behalf. This petition was by a resident parent and not a U.S. citizen parent. There are many benefits and protections that the child of a citizen gets that the child of a resident does not. Specifically, while Danieca could not seek residence in the U.S. through adjustment of status, she could seek an immigrant visa at the U.S. Embassy in Manila. However, in order for that to work, Danieca would need the I-601A provisional waiver, which was not available at that time. Also, in June 2016, the Supreme Court refused to vacate the injunction against expanded DACA entered by Judge Andrew Hanen. When the I-601A provisional waiver was originally initiated, it was only available to “immediate relatives:” the spouses, parents, and children of US citizens. In November 2014, in the same set of initiatives as expanded DACA, the President announced that the I-601A provisional waiver would be expanded to anyone who is the beneficiary of a petition. This class of people finally included Danieca. All she had to do was wait a few weeks for the administration to begin accepting the I-601A under the expanded eligibility. But weeks turned into months, which extended to a year and more. On August 28, 2016, a full 21 months after the President announced the expanded I-601A provisional waiver eligibility, the Citizenship & Immigration Service began accepting I-601A provisional waivers from the expanded class of beneficiaries. Among the first to arrive that day was Danieca’s application. We still had a couple of problems. First was that Danieca had turned 21, which made her, technically, no longer a “child” under the Immigration & Nationality Act. The Child Status Protection Act (CSPA) would assist with that if the visa became available to Danieca while she was under the age of 21. The CSPA provided a confusing formula to determine Danieca’s age when the visa became available. Danieca would remain a “child under U.S. immigration law as long as a visa became available before until December 30, 2016. The visa became available on December 1. But we still need the waiver to be approved. Back in September, we began seeking expedited treatment of the waiver from the CIS. They had so far refused and time was running out. With the help of some truly excellent people in the DHS Ombudsman’s office, CIS agreed to expedite the case and approved the application on December 7. We also needed to get her case moved along at the Embassy. We pushed the State Department to have the Manila embassy handle all processing. This allowed us to bypass the National Visa Center. The NVC is a notoriously slow facility. We could not wait for them to process this at normal speed. We asked them to send it to Manila and they agreed. Manila accepted the case and agreed to allow Danieca to attend an appointment on a walk-in basis. 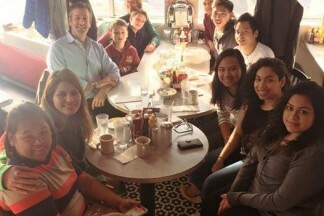 When Danieca a rrived in Washington around 6 AM, her mother picked her up at the airport and took her to the American City Diner in Chevy Chase, DC. Waiting there were the people who made it happen: Danieca’s mother’s employer, who helped the family pay for this, Liana Montecinos of our staff, who shepherded the case through all these obstacles, and Danieca’s friends and family, all shared the celebration. After all this Danieca is now resting up. She has one more semester of college to complete before she takes on the world armed with her green card. Mr. Trump and his minions may take away DACA, but Danieca made it through and is out of their reach. Congratulations to Danieca and her family.